Gift shopping season is just around the corner. No one wants to unwrap a present only to see socks or another tie. Amazon has grouped together gift options that come from creative minds who launched their ideas on Kickstarter. Shopping for loved ones who travel just got easier. With so many cool travel gift ideas, there’s no reason to give a single boring gift this year. Everyone wants to look good while they’re taking traveling photos. This is where the Go-Comb comes in. This travel-friendly product is made from high-grade stainless steel and fits easily in your pocket or in your wallet along with your credit cards. Heather Burkman came up with the idea for the product when she spotted her uncle using a plastic comb that didn’t fit his wallet and was “awkwardly hanging out on the side.” She ran a kickstarter campaign for a new and improved every day comb, and the rest was history. This comb works for all hair types, long and short. It’s also useful for beards and mustaches. It comes in a variety of choices ranging from fine tooth to wide tooth depending on what works for your hair. It doesn’t just stop there. It’s not just a comb, it’s also a bottle opener! The little hooked part acts as a handy opener for your favorite bottled beverage. It can also double as an emergency teeth-checker after that spinach salad. Lugging around a purse or bag while you’re traveling can be a pain. 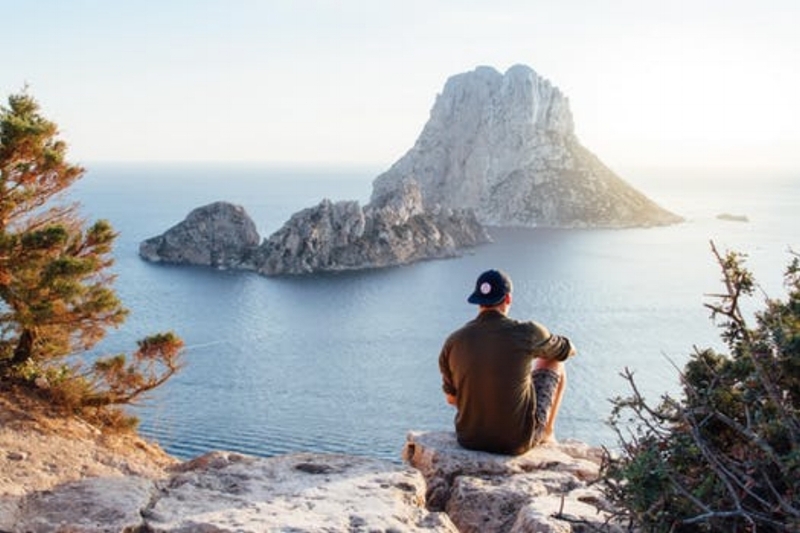 You should be enjoying your trip, not worrying about your belongings. Introducing, the Baubax Travel Jacket! This special jacket offers 15 incredible features including a built-in inflatable neck pillow. That’s right, the jacket has a built-in neck pillow. Founder Yoganshi Shah thought of the idea when her husband kept forgetting his neck pillow each time he traveled. This pillow is located in the hood of the jacket and can be inflated in only two seconds on a plane, bus, or wherever else you need some quick shut-eye. Along with the neck pillow, you’ll find an eye mask to complete the perfect nap. Other features include built-in gloves, a large sized pocket to fit a tablet, and two fleece lined hand-warming pockets. The makers of this jacket describe their product in three words; comfortable, functional, versatile! Also check for the latest deals for Baubax here. For the friends who love long road trips, show them you care by helping keep them safe. The SuperVizor XT Auto Escape / Rescue Tool features a seatbelt cutting edge in case of emergency. It’s also a “window breaker,” meaning it offers a strong stainless steel metal component that can smash through vehicle safety glass. Designed by a NY City paramedic, this useful lifesaving product is the perfect gift for someone who spends plenty of time in their car. They can easily attach it to their sun visor and always have it with them. Possessions should be easily accessible when on the move from place to place. Traveling is easier with the Man-Pack Sling Pack. This item is veteran owned and built for efficiency. Appearing on Shark Tank, The Sling Pack gained attention as the perfect utility bag for the everyday person. The Sling Pack comes with a comfortable padded strap and is body conforming. Due to the innovative design, items are at an easy reach whenever you need them. There are sections for your cellphone, tablet, laptop, and even your water bottle. A special concealed pocket can be found on the back of the backpack, so you can carry anything you want kept secret. Also check for the latest deals for Man-PACK here. For the traveler who also loves ergonomics comes the CaraClaw Carabiner Knife. This unique knife is ideal for camping, hiking, and general survival. Equipped with a sharp stainless steel blade, this knife is a useful for the outdoors or for just-in-case situations. The ergonomic handle forms an easy grip. This Kickstart item was created when CEO Avi Goldstein decided he wanted an easy access blade clipped to his backpack instead of having to rummage through his pockets. Also check for the latest deals for StatGear here. So far, we’ve listed very practical items that the travel lover must have. Let’s take a break and talk about something that’s just for fun. The GOAT STORY Mug is a coffee mug you can travel with. It’s also shaped like a horn! Your stylish loved one will be so excited when you hand over this faux leather horn mug in Marsala, Black, Brown, or Hemp. Also check for the latest deals for GOAT STORY here. Travelers always need a dependable way to get to their destinations. 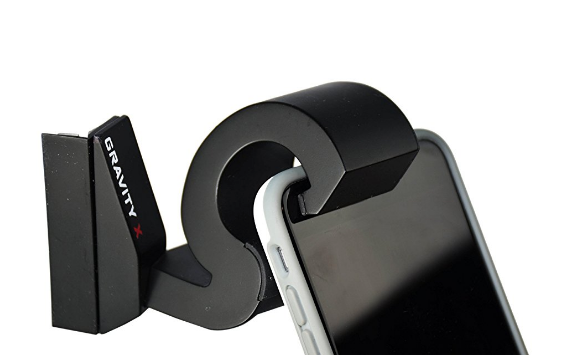 The Gravity X Car Phone mount is a wonderful way for the traveler to get around safely. This smart traveler gift idea uses technology that lets the driver use the GPS on their phone without clamps or magnets. The phone is securely placed with its weight and gravity. The phone stays in place while the traveler drives safely, focusing on the road. The creator of this traveler gadget said he came up with the idea after frustratingly using his phone while it was laying on the passenger seat. Who can’t relate to that? Also check for the latest deals for The Gravity Xhere. If the person you’re buying for owns a dog, you might wonder what they do when the dog has to use the bathroom while they’re traveling. The Wise Walker was created just for that concern. Let’s say your friend is on a long walk in a place far from the hotel they’re staying in. They’re in the middle of seeing the sights, and they don’t want to stop short just so deal with a full plastic bag. What should they do? Fear no more, the Wish Walker is here to save them from the annoyances of doggie do. The functional bag holds onto the poop, so you don’t have to. It also inhibits odor. Simply place the full plastic bag in your Wise Walker and forget about it until you’re done with your stroll. Now that’s a great travel gift option! There’s nothing worse than your phone charger, AUX Cable and other wires and cords that get tangled with everything else in a traveler’s backpack. Thanks to Kickstarter, two CEO’s were able to conceptualize and execute the perfect response to a mess we can all relate to. Clip phone charger cords, laptop cables, headphones, etc. with a Cloop Magnetic Cable Keeper. Keep all belongings bundled neatly using the Cloop in either a small or large. Goodbye nightmare tangles, hello happy travels! Also check for the latest deals for Cloop here. Outlets can be hard to find while traveling to new countries and cities. A portable charger is the smart way to travel. Charge up an iPhone, Android, tablet, laptop, or anything else that needs juice with the Reeljuice 3X Portable Power Bank. The traveler can use their device while it’s being charged, connecting to the charger with a lengthy 4-foot long cord. Not only is it safe for your travel gift receiver to have a powered cellphone when they’re somewhere new, but they also skip waiting for their phone to charge while using an outlet at a random coffeeshop. These fun travel gift ideas either simplify their next trip or make them safer. Whatever travel gift you decide on, they’ll thank you for being so thoughtful. Thanks to Kickstarter and Amazon, there will be many more possibilities of neat travel presents for your family and friends in the future!